Learn how to implement a notification system using Arduino and PushBullet. Send notification events to your smartphone when an event occurs. Monitor the soil moisture using Arduino and sends alert to your smartphone when it is too dry. 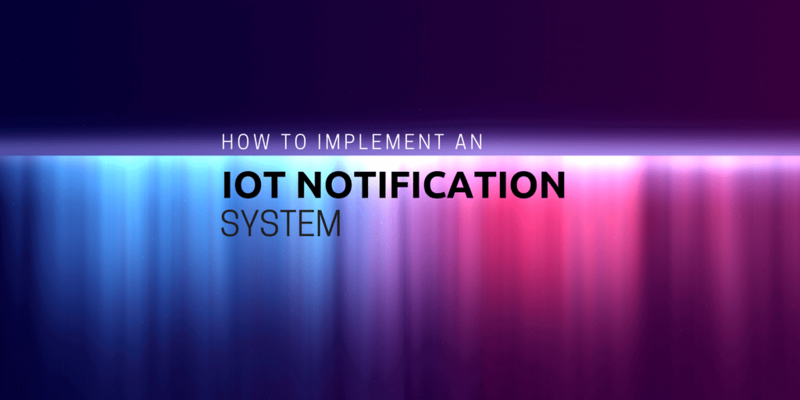 This article describes how to implement an IoT notification system. A notification is a way we can use to send alarms or other kinds of information to users. This post describes, step by step, how to build an IoT notification system using a few lines of code and integrating existing cloud platforms. The aim is to send a notification to several devices like Android, iOS or desktop PC. This IoT project uses ESP8266 but you can use other IoT development board to test it as Arduino UNO, MKR1000 other ESP and so on. and so on. They are just a few examples where it is possible to use this IoT notification project. The idea, that stands at the base of this project, is building a general purpose IoT notification system that you can reuse in other scenarios, without writing too many code lines. We have covered the notification topic in several other tutorials, for example, we have already described how to send notification using Google Firebase. Moreover, it is possible to use other IoT development boards to implement a notification system. As the sensor, the project uses BMP280 that is an I2C sensor. There is a library to use in order to exchange data with this sensor. You can download it from Github or import it into your IDE. The PushingBox is an interesting cloud platform that simplifies the process of sending data. It exposes a simple API that our IoT notification system uses to trigger the notification. That’s all. In a few steps, we have configured all the systems that this IoT notification project will use to send the notification. Save the deviceID because we will use it later. The last step is implementing the sketch that reads the temperature and the pressure from the sensor and triggers the notification. This is quite simple because we can use a library that simplifies our work. The last two parameters will be used by notification system in the message template to replace the $temp$ and $press$ with the current values measured by the sensor. The application is very simple and it can be improved. If you use a battery to power the ESP you can use a better way to save the battery power. This article describes how to manage the device to reduce energy consumption. At the end of this tutorial, you, hopefully, gained the knowledge about how to develop an IoT notification system that sends messages to several devices using a few lines of code. 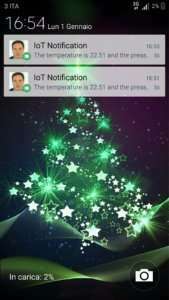 As stated above, this IoT notification tutorial can be further extended and we can use it in several scenarios. Indeed very informative post. Keep up the good work!! I will surely implement it as i usually miss a lot of important notifications.